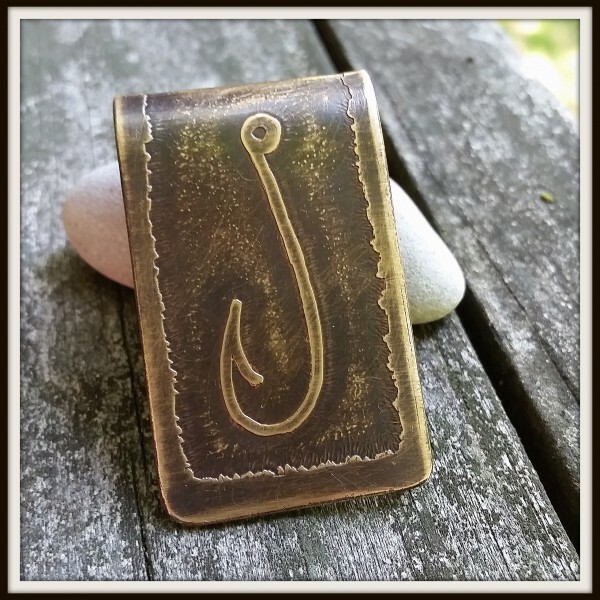 Etched brass money clip for the fishing enthusiast. 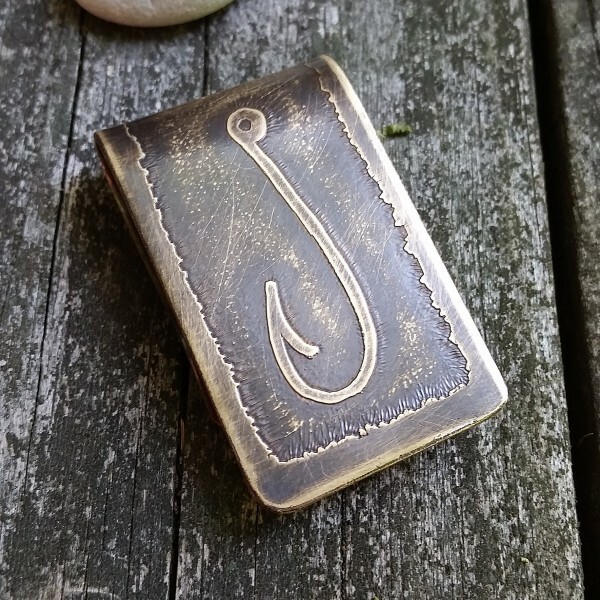 Each fish hook is hand drawn so there will be slight variations. 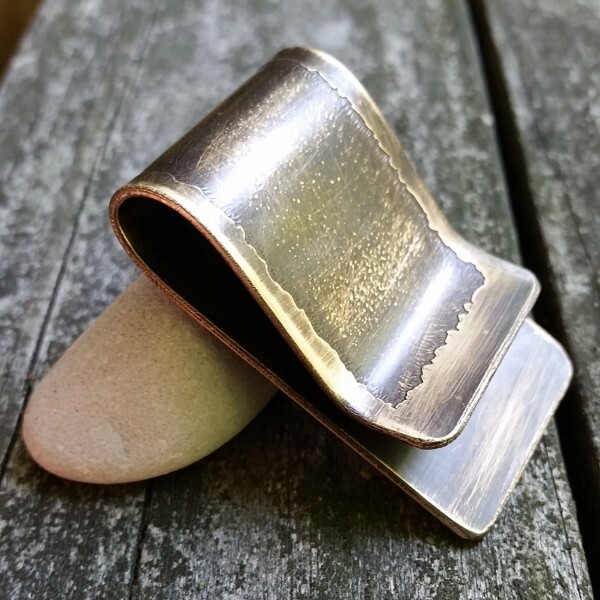 Each clip will be unique to you. ~Measures: 2"L x 1 1/4"W.